Recorded at Priory Studios in Surrey, the project marks Taylor’s first new solo album in 15 years. 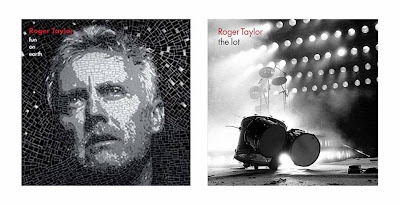 In addition to the solo album, Roger has also released “The Lot” - the complete collection of his back catalog of solo work and material from The Cross. The material is available in stunning limited collector’s editions and digital formats. “The Lot” comprises Roger’s solo albums “Fun In Space” (1981), “Strange Frontier” (1984), “Happiness?” (1994), “Electric Fire” (1998) and “Fun On Earth”, as well as the three albums by his band The Cross – “Shove It” (1988), “Mad, Bad And Dangerous To Know” (1990) and “Blue Rock” (1991).